Hebrew University #1 at #67 in the world; only Ariel University, Haifa U did not make the list. Six of Israel's eight universities are listed among the world's top 500 universities on Sunday, with two in the top 100. The Hebrew University of Jerusalem was ranked #1 in Israel and #67 among the top universities in the world in the 2015 Academic Ranking of World Universities - up three slots from 2014, but not quite back to its #59 place in 2013. Haifa's Technion was #2 in Israel and #77 in the world. The Weizmann Institute in Rehovot ranked #3 for Israeli universities in 2015, and Tel Aviv University at #4; both were in the top 101-150 universities of the world. 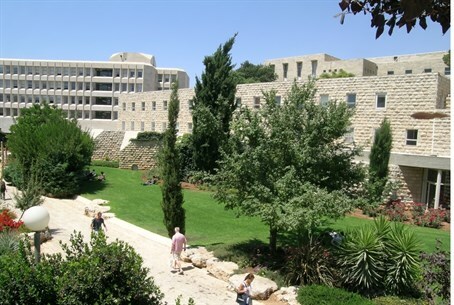 Ben-Gurion University of the Negev in Be'er Sheva and Bar Ilan University in Ramat Gan ranked #5 and #6, respectively, and were among the top 500 world universities. Ariel University and Haifa University did not make the top 500 list. The authoritative ranking, conducted annually by researchers at Shanghai Jiao Tong University in China, lists the top 500 from among more than 1,000 universities around the world. Since its origins in 2003, the Shanghai Ranking has included the Hebrew University among the world's top 100 universities every year. The Academic Ranking of World Universities (ARWU) uses six objective indicators to rank world universities, including the number of alumni and staff winning Nobel Prizes and Fields Medals, number of highly cited researchers selected by Thomson Scientific, number of articles published in journals of Nature and Science, number of articles indexed in Science Citation Index - Expanded and Social Sciences Citation Index, and per capita performance with respect to the size of an institution.